Jack M. Nagel (1921 – 2018) was a Los Angeles real estate developer and investor whose life served as a testament to the limitless achievements that can be obtained through hard work and despite insurmountable odds. Born in Poland, Jack was a Holocaust survivor, who lived through four different Nazi death camps. His entire family, except for one surviving sister, died during the Holocaust. Jack came to the United States in 1947. Determined to succeed in his new country, Jack moved to Los Angeles in 1955 and started Nagel Construction Company. He became a developer of single-family homes. From 1955-1983, Nagel Construction built more than 2,000 homes under the flagship name Empress Homes, well known as a symbol of quality and value. In the mid-1970s, he diversified his company by developing several apartment complexes in Los Angeles and West Hollywood. While some of the buildings were eventually sold, the majority of them are still held within his portfolio and remain Class “A” assets. During the 1980s, Jack further diversified his portfolio by entering the commercial real estate market and developing retail and office properties. In 1988, Jack transferred day-to-day management of the company to his son, David, who assumed the role of CEO. The company’s impressive growth during the past three decades was inspired and guided by his visionary leadership. 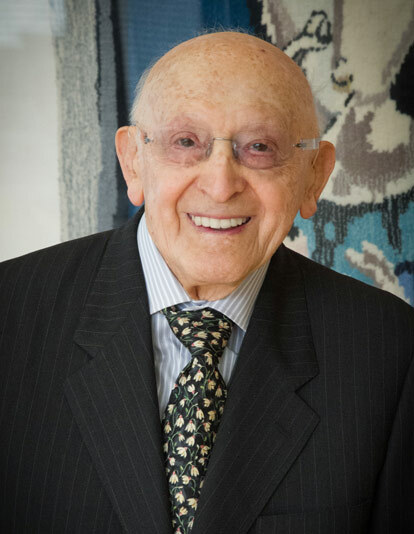 Jack Nagel served as Chairman of Decron Properties Corp from its inception in 1988 until his passing on October 12, 2018 at the age of 96. His spirit, vision, and passion still guides and inspires the work of the firm, even in his absence. He is remembered and greatly missed by the many Decron employees who worked with him over the years. Jack’s sheer determination and will to succeed, as evidenced through the many trials and tribulations that he surmounted in his lifetime, lives on in Decron’s core values. His legacy carries on through Decron Properties’ real estate developments that he built across California, his philanthropy, and his family, his surviving wife, four children, 15 grandchildren, and 11 great-grandchildren. Jack’s amazing personal and business story was profiled in the Wall Street Journal’s Obituary Section on November 3, 2018.